All Saints' Church stands at the heart of the market town of Kirkbymoorside, whose Market Charter dates from 1254. The town takes its name from the church, "the church at the head of the moors". There is some evidence of a site of worship here dating to the 9th century, although continuous records trace the church from the 10th century. Kirkby Church and its priest are mentioned in the Domesday Book. The present structure is largely Norman with later additions (notably the nave roof) in the 15th and 19th centuries ( the 14th century sedilia are still in use today). The chancel screen by Temple Moore commemorates the fallen in World War One, as does The Cross, also by Temple Moore, unveiled in 1920 (see www.templemooretrail.co.uk). 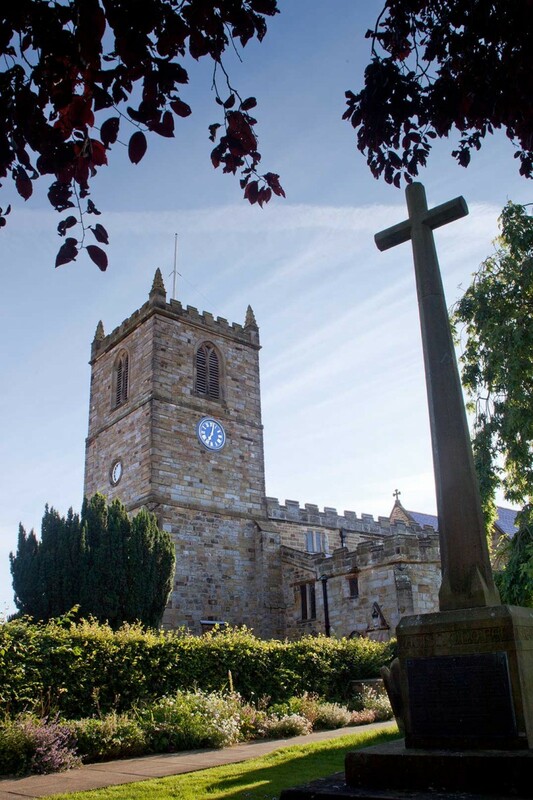 Within Kirkbymoorside there is a lively and active Local History Group (click on www.kirkbymoorside.info and follow links), and many visitors are drawn to All Saints' finding the gentle tranquility of God within its ancient walls. All Saints' Church stands firmly within the Anglican tradition of worship and belief, celebrating the heritage of The Church of England, yet embracing new visions of faith for the 21st century. Visitors (of any age !) will find a warm and quiet welcome here. In addition, there is a celebration of Holy Communion (BCP) each Wednesday morning (Market Day) at 10.00am. Midday Prayer is said every Monday at 12.00pm.